Richard C. Klugh is a criminal defense attorney who practices in federal trial, appellate, and post-conviction litigation in Miami. He has been lead counsel in dozens of published victories in state and federal appellate courts, has won numerous trial victories, and has appeared in cases at every level of the trial and appellate courts in the United States, including the U.S. Supreme Court. 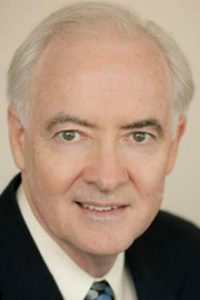 Richard is the 2006 recipient of FACDL-Miami’s “Against All Odds” award for his representation of criminal defendants in the U.S. Court of Appeals. He has given seminar presentations for CLE programs at regional and national federal defender conferences throughout the U.S., as well as seminars presented by The Florida Bar and the Florida Association of Criminal Defense Lawyers. Richard is the author of several published legal articles on subjects ranging from appellate practice to Medicare law and health care regulation. Richard is the former Chief of the Appellate Division of the Federal Defender’s Office in the Southern District of Florida. He was also editor of the Defense Newsletter, a monthly legal publication for the Criminal Justice Act attorney panel. Richard is fluent in Spanish and has conducted case investigations requiring Spanish proficiency in several countries in Latin America.